The people in the office at Mt St Peter Cemetery were very helpful when my cousin & I visited recently. We told them we were researching the surnames of Brady & Kilday. Lot cards were quickly retrieved from large drawers and the woman in the office made us copies of both the cards and a cemetery map. We were looking for Anna Brady Kilday and her branch of the Brady family. Anna was the daughter of Thomas Brady & Catherine Gibney. She and some of her siblings left County Cavan and made their lives in New Haven Co., CT. We found a large monument with the ‘Kilday’ surname surrounded by small foot stones. We did not actually uncover a stone with Anna’s name but we found her husband & many others. We did literally have to uncover those stones as their edges were obscured by grass. Anna’s stone was most likely completely covered with grass. We were also looking for William Brady, son of Thomas Brady & Catherine Gibney & brother to Anna Brady Kilday. He came to the USA as a young man and built a life for himself and his family in CT. We found three generations of his descendants. This visit to the cemetery yielded lots of information. The death dates sent us back to the Ansonia Library to find matching obituaries from the Ansonia Evening Sentinel. We are still analyzing the data we collected from the tombstones & the obituaries. This prompt comes from Amy Johnson Crow at her blog, No Story Too Small. She suggests we write once a week about a specific ancestor. 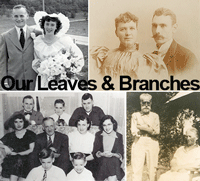 I began with my grandparents and am working my way back in time through the generations of my direct ancestors. Jeremiah Smith was the son of Jeremiah Smith Sr. & Jemimah Hollis. His siblings were: George, Daniel & Mary. In 1790 the family was in Greenville Co., SC. On 16 December 1798 in SC, he married Joanna Dillon, daughter of Richard Dillon & Anne Lawrence.,  They were the parents of 13 children. A handful of records give evidences of the family in MS. “Jeremiah Smith is listed on the 1813 tax list for Lawrence County (which appears to have included Marion County that year as an administrative glitch) as having: 320 acres, 4th class, 2nd quality, Bogue Chitto River, 1 pole, 3 slaves, $2.16 Over the next 20 years, his holdings grew substantially. Jeremiah Smith is listed on the 1835 Tax List of Pike County, Mississippi with 880 acres on the Bogue Chitto River, valued at SI,760. It is presumed that his home at this time was not far from that of his brothers-in-law on Bogue Chitto River and Magee's Creek (which runs into Bogue Chitto just south of Lexie).” Jeremiah Smith is shown in the 1841 MS State Census. 1790 US Census. Greenville County, South Carolina. Roll M637. Page 108. Jeremiah Smith family. The Jeremiah Smith, Sr. Bible, c. 1800 - 1917, Bible in possession of Mrs. W. C. Uhlman, Rte. 6, Tylertown, Mississippi. Copy given to author by Pat (Brock) Smith. Holbrook and Fressenden’s Stereotype Edition of the Holy Bible, Brattleboro, VT, 1825. Original owner: Jeremiah Smith Sr. of Pike Co., MS. Copied by Texana Carter, 27 August 1854. Conerly, Luke Ward, SOURCE RECORDS FROM PIKE COUNTY, MISSISSIPPI 1798-1910; 1798-1910; South Carolina, Southern Historical Press, 1989. During our first day of researching our Brady family roots in Ct my cousin & I stayed indoors. 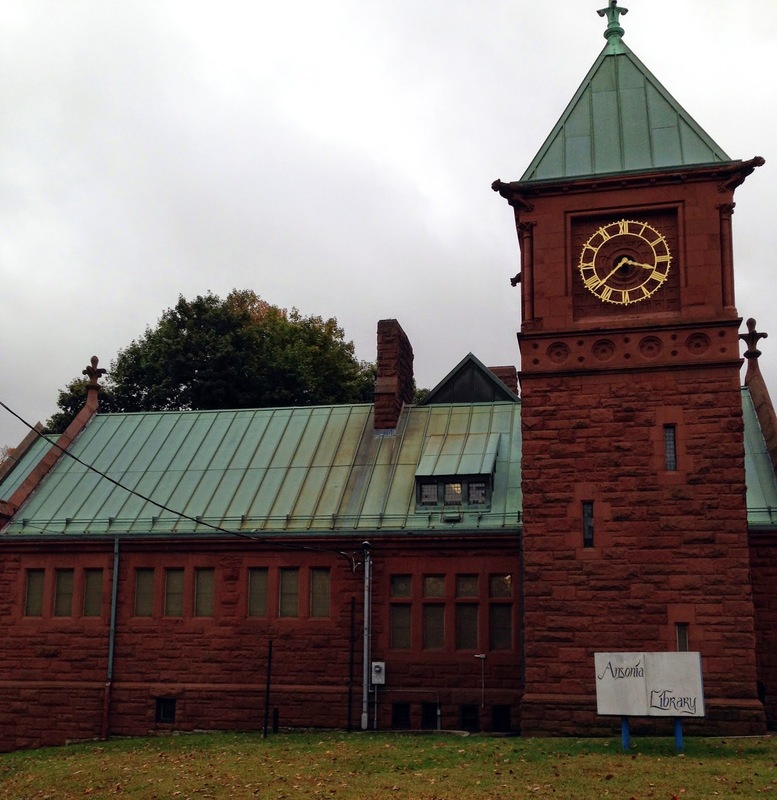 It was a rainy autumn day and we limited ourselves to uncovering facts in the Ansonia Library, the Derby Historical Society & the Ansonia City Hall. The second day was dry and we headed to cemeteries. We found two members of the family of Owen Brady & Mary McGovern. Their daughter, Agnes V Brady Renker, was buried with her husband. Their grandson, Eugene W Brady, and his wife were there also. We found Agnes & George first. My cousin had called ahead and knew which plot to look in. We did not know where to find Eugene & Ruth and the office was closed. However, we were able to find the supervisor of the cemetery and he took us right to the tombstone we needed. It was a beautifully tended cemetery. 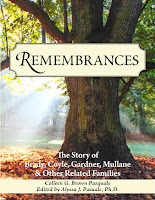 My third cousin, Pat Brady, and I were recently in CT to find more information about William Brady, Owen Brady & Anna Brady Kilday, three of the children of Thomas Brady & Catherine Gibney. Our first stop was at the Ansonia Public Library. 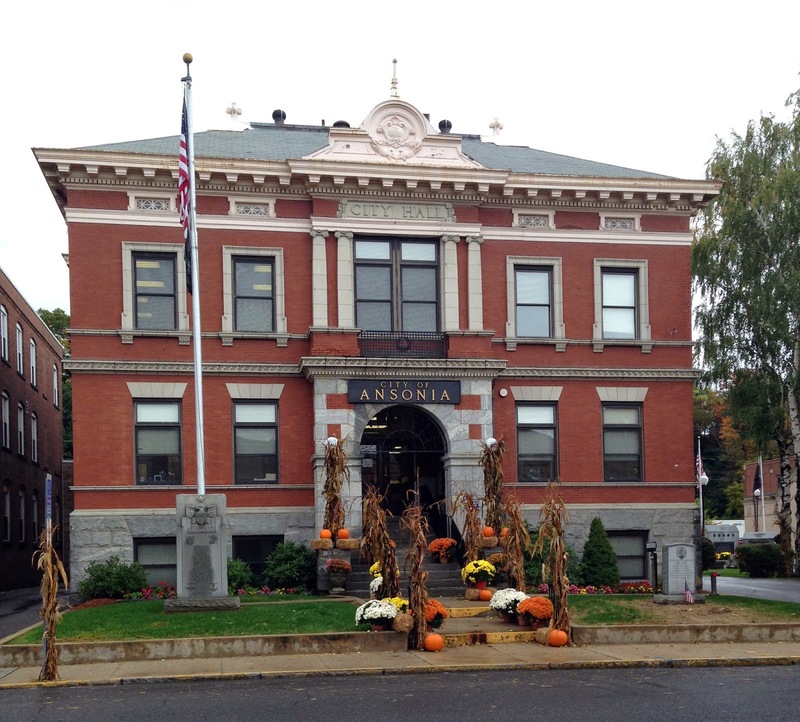 Our second stop was Ansonia City Hall. We had prepared a list of birth, marriage and death certificates that we wanted to read and copy. Armed with the list, clipboard, notes and pencils we stepped through the rain and into the large building. The city clerk’s office was on the first floor in the back of the old building. We were asked for our IDs and our genealogists’ cards. We looked at each other, unsure of what kind of card the clerk wanted. We wondered if there was a card that professional genealogists carried but we doubted it. 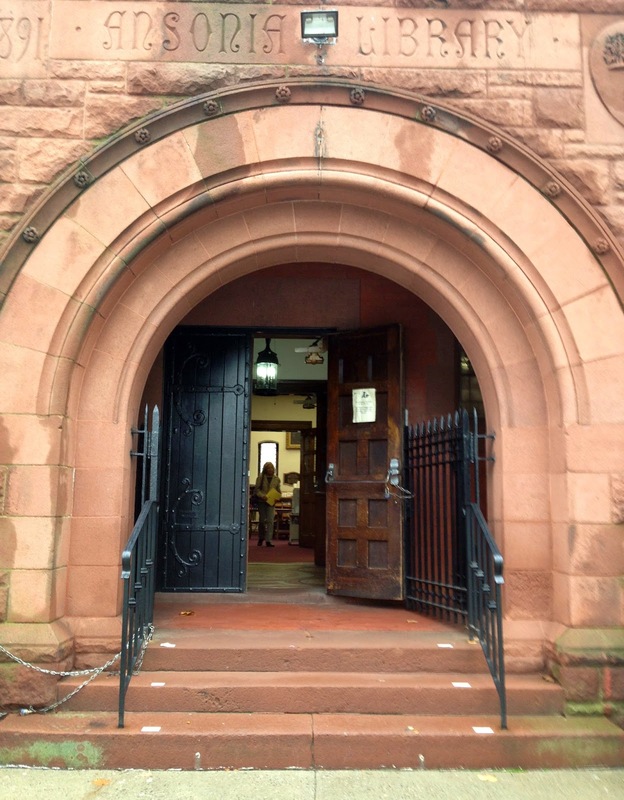 When asked a second time I pulled out my membership card for the Connecticut Society of Genealogists, Inc. A smile from the clerk confirmed that was the card she wanted to see. We were told we could not use cameras and that copies were $20 each. · The Birth Record for Eugene Brady, 16 January 1893; son of Owen Brady & Mary McGovern at 102 Factory Street, Ansonia. · Marriage License for Agnes V Brady & George P. Renker, 18 September 1929. Agnes was the daughter of Owen Brady & Mary McGovern of Ansonia. · Marriage License for Catherine Brady & Daniel J Corcoran, 9 June 1904. Catherine was the daughter of Owen Brady & Mary McGovern of Ansonia. · Certificate of Death for Mary Brady, 20 August 1927. Mary was the wife of Owen Brady. · Certificate of Death for Bridget Brady, 2 August 1914. Bridget was the wife of William Brady. 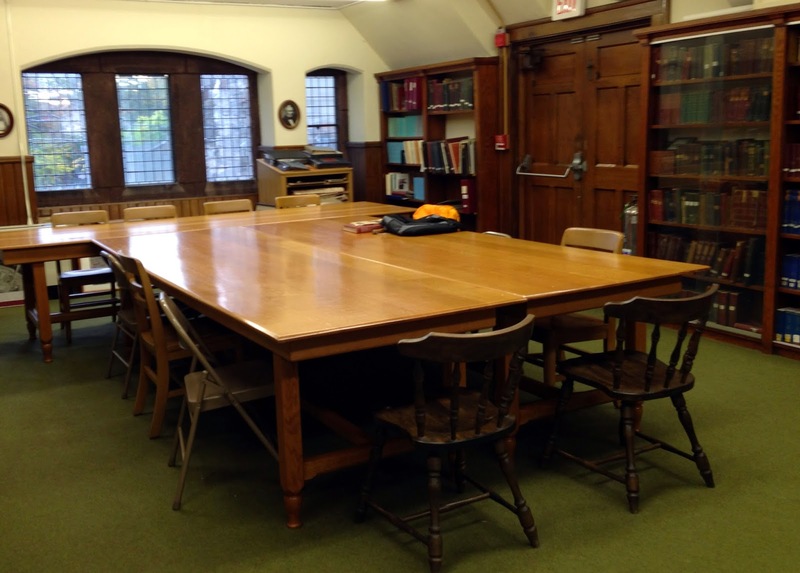 The only reason we were able to find May McGovern Brady was because of our research in the library earlier that day. We had not known when she died but when I was looking through the City DIrecrtories I found her death date. The 1928 City Directory for Ansonia said “Brady. Mary Mrs died Aug 20 1927 age 67.” That led us to her certificate. We were very happy to find more puzzle pieces to complete the picture of our Brady families in CT. Thank you for your e-mail. We have very limited information here at the Society office. I have a few listings from the city directories that list the addresses of where some of your relatives lived. I have scanned those in for you to review. We do not have birth, death, or cemetery records. 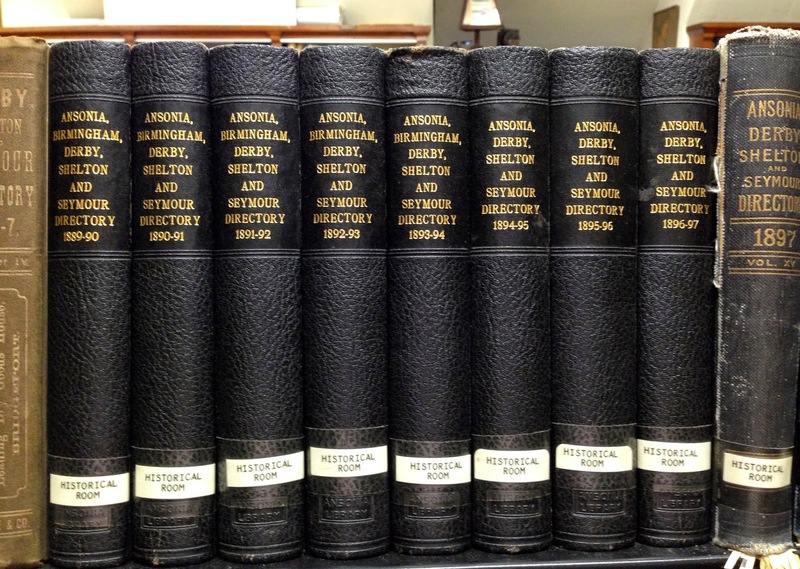 You may want to check with the Ansonia & Derby City Halls and libraries. I have provided some contact information below. When my cousin, Pat, and I arrived we found a tiny building with a friendly woman who offered us a couple folding chairs. She had photocopied two pages from city directories. We had already found extensive city directory entries for our family at the Ansonia Library but we smiled and thanked her for the copies. We were happy to find these listings and the next day we found the cemetery and the stones. I was hoping to find more historical records. There was a second small room in the building with people in there spreading out maps and looking through books. Our helper was looking at the clock because of an upcoming meeting she had to attend and we were not offered any other records. We gave our thanks and headed back out into the rain. 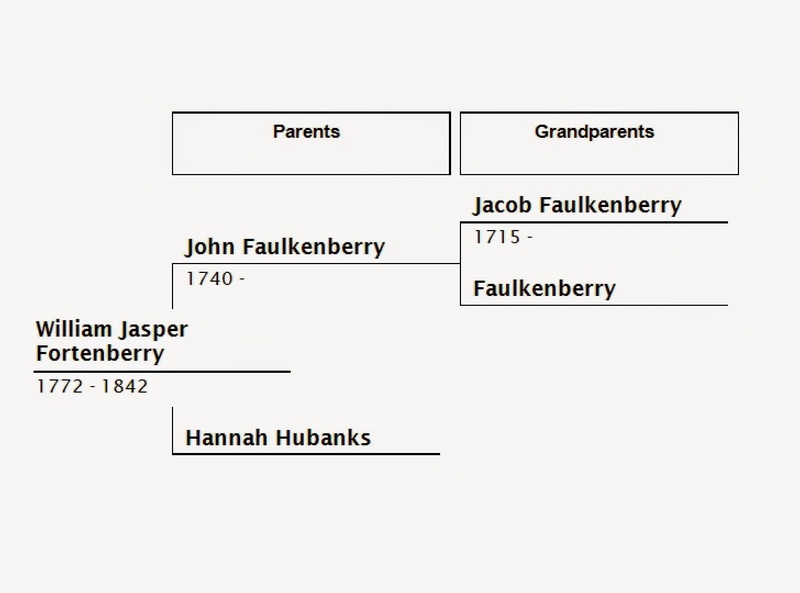 WilliamJasper Fortenberry was the second of six children of John Faulkenberry & Hannah Hubanks. His siblings were: Robert, Lee, Jacob, Israel & Nathaniel. The 1810 US Census for Lancaster Co., SC shows several Fortenberry families including William Fortenberry and his brothers, Israel and Jacob. About 1812 William married Violette Kennington, daughter of John & Martha Kennington., They “had a beautiful romance which never gave out. On their honeymoon, they traveled in an ox-wagon from Lancaster, South Carolina about 1812 to southern climes and found contentment in hard work and rearing a large family. From that union, our grand-sires emanated, 10 in actual count." This sounds romantic, however we get a different picture of this journey if we read Criminger’s book. This book tells us that William’s mother, Hannah, and six of their children traveled with the couple from Virginia to South Carolina. Two of William’s brothers also traveled with them. One brother froze to death in Alabama. This hardly sounds like a honeymoon. In October 1814, William Fortenberry enlisted in the South Carolina State Militia to fight the British. He served from 6 October 1814 to 8 January 1815, when he was discharged by enlistment in the service of the United States. The company was commanded to help defend the port at Charleston. His brother in law, John Kennington, and other family members also served in the same Regiment, led by Lieutenant Colonel Adam McWillie. The regiment stood ready to defend the port but they did not participate in any battles. “William Fortinberry came from Lancaster District, South Carolina, and settled in the southeastern portion of the county [Pike, MS] in 1819.” He is listed in the 1820 Tax List for Pike County. William and Violette are listed as early members of the New Zion Baptist Church in Pike County. They are shown in those records beginning 1823. William is also on the 1835 Tax List for the county. Small, O. B. (). 1810 Lancaster County, South Carolina census. Monroe, N.C.: O.B. Small. Fortinberry, G. K. Abstract History of the Fortinberry Family; 1795-1940's; Family History Center Microfilm #1036152. 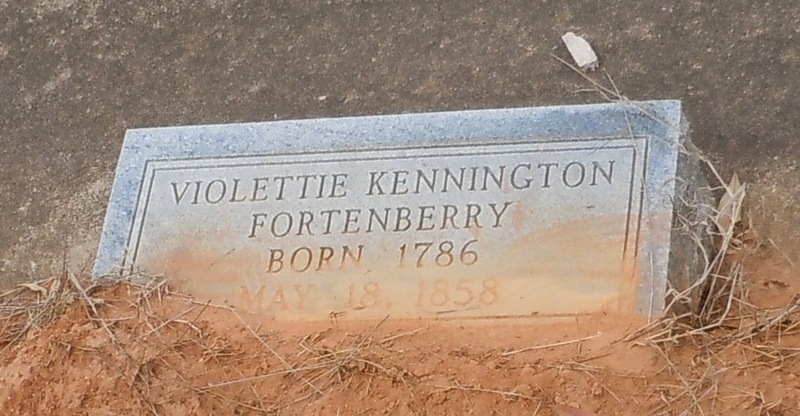 Fortinberry, G. K. Abstract History of the Fortinberry Family. Privately Printed. 1942. Family History Center microfilm #1036152. Conerly, L. W., & Williams, Jr., E. R. (1989). 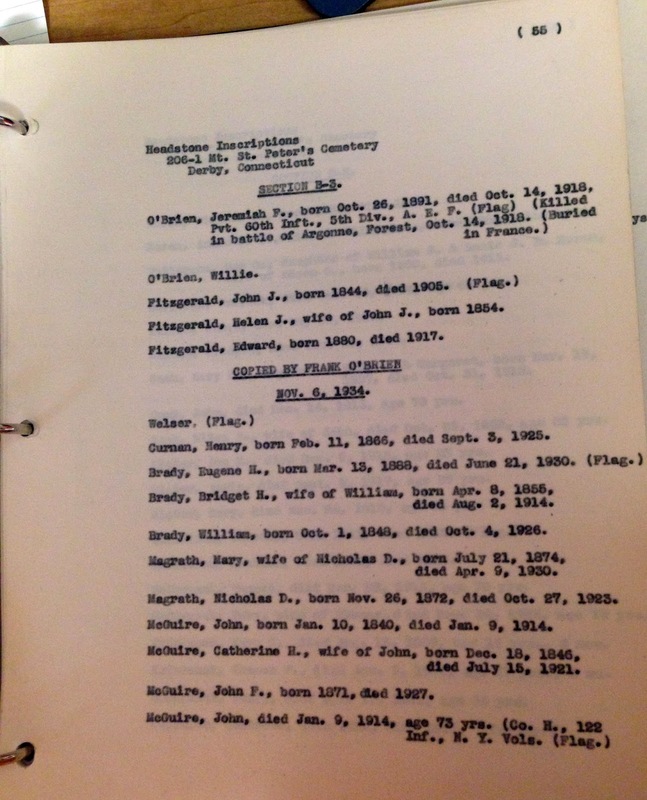 Resource records of Pike/Walthall Counties, Mississippi, 1798-1910: containing a complete reprint of Pike County, Mississippi, 1798-1876, pioneer families and Confederate soldiers, reconstruction and redemption. 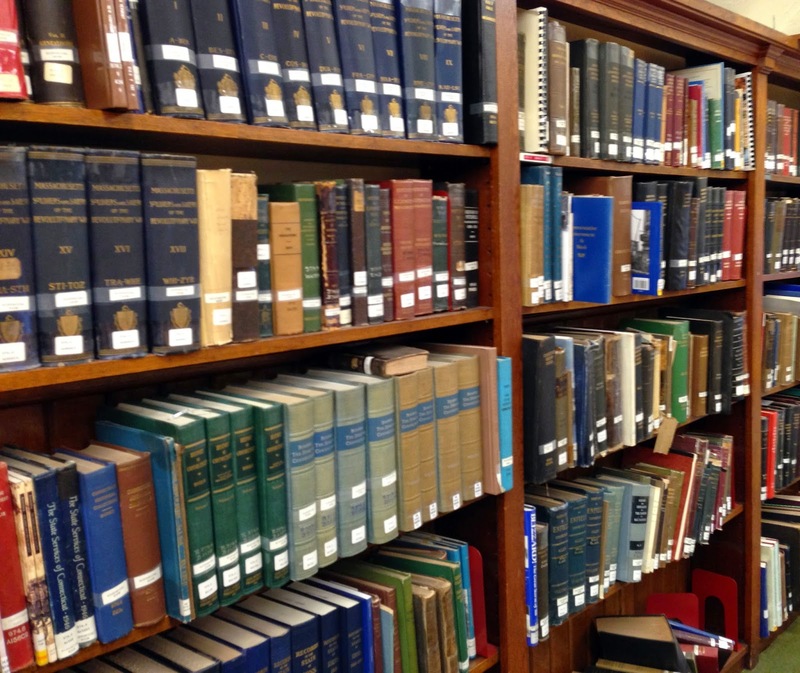 Easley, S.C.: Southern Historical Press. Conerly, L. W. (2008). Pike County, Mississippi, 1798-1876: pioneer families and Confederate soldiers, reconstruction and redemption,. Madison, Georgia: Southern Lion Books. (Original work published 1909). This prompt comes from Amy Johnson Crow at her blog, No Story Too Small.I began with my grandparents and am working my way back in time through the generations of my direct ancestors. 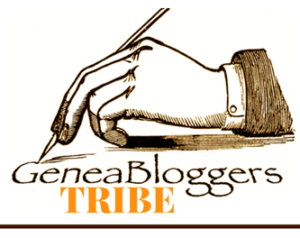 With this post I begin focusing on my 4x Great Grandparents. 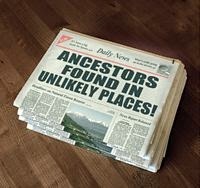 Several years ago, through the wonder of connecting on the internet, I discovered that my mother had relatives. My mother had no siblings and, although her mother was the oldest of seven children, my mother had no known Irish first cousins. All my known cousins came from my father’s side of our family. However, after my mother’s death, I have discovered third cousins; Irish cousins living in the northeast. Our little group has grown over the last several years. We try to assemble once a year and this year’s gathering is approaching. Two of us, Pat Brady & I, are the researchers. We uncover bits about our history to share with the rest of the group. In preparation for the trip I am making an excel spreadsheet with a quick summary of what we know about the children of Thomas Brady & Catherine Gibney. Thomas & Catherine spent most of their lives in Co Cavan, Ireland. Eight of their children came to the USA, settling in CT & NJ. The spread sheet will make it easy to see what facts we are missing, such as birth, immigration, marriage or death dates. 253 Main Street, Ansonia, CT. We are hoping to find a death certificate here. We have a range of years when we believe he died. 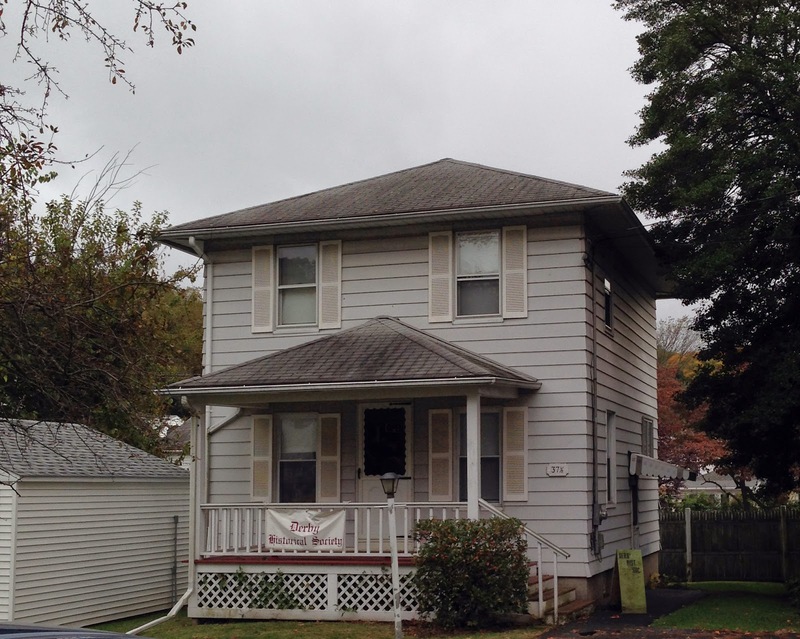 53 S Cliff St, Ansonia, CT. Our family lived in the area & I hope to find genealogies or histories or city directories. 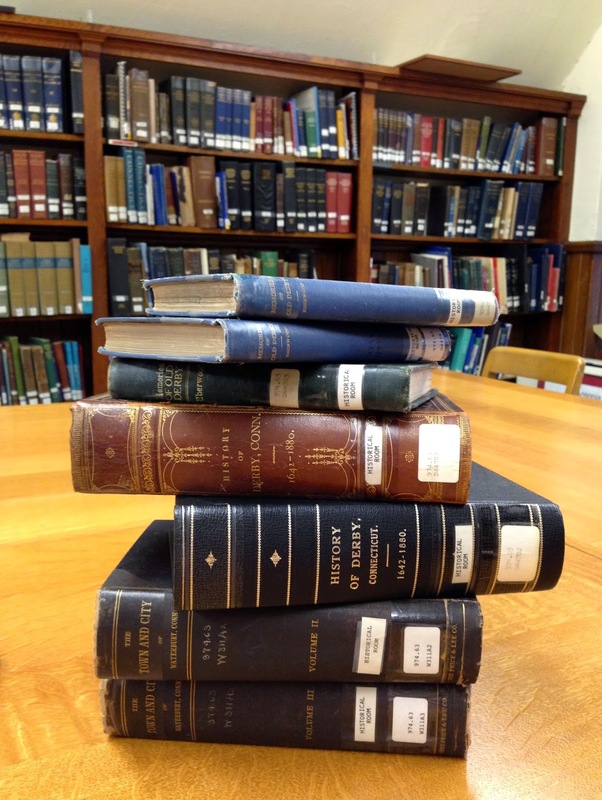 It is hard to get a feel for the library’s holdings from the website. 37 Elm Street, Ansonia, CT. The website looks very promising. They are only open 3 hours a day so I want to be there when the door is unlocked and they might need to boot us out at four o’clock! New Haven, CT. Pat is lining up the cemetery research by contacting the offices in advance. We are hoping for maps, lot cards & opportunities to photograph the stones. 219 New Haven Ave., Derby, CT. We know that some of the main characters in our family’s story are buried here. Perhaps there are even more. 15 Church Street, Ansonia, CT. The online search option shows two of our family members. We will have two weekdays for our research. Then we will meet up with the cousins on Saturday for catching up, sharing our findings & just enjoying each other! Last time we gathered we had dinner at an Irish pub. Our ever increasing group gathered around a very large table for good food & laughter. Looking around the table at all the cousins from preschoolers to teens and on up to us seniors I thought of my mother and how much she would have loved to join in.